In 1912, A.C. Cunningham published The Cane as a Weapon, which even today remains the best book I have ever seen on fighting with a cane. It is amazingly succinct and conveys what is as nearly a complete system of cane fighting as a reader could desire, all within 25 pages. For those that want to jump right in, here is The Cane as a Weapon. This is a cleaner version than the PDF that is floating around online. For future reference, you can also find it under the reprints tab at top right. 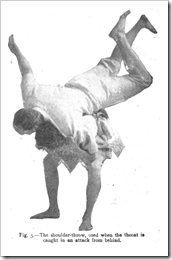 The original version contained only 12 photographs of Cunningham showing his method, yet included numerous drill sequences for practice. I therefore highly recommend that you also purchase Tony Wolf’s expanded version of The Cane as a Weapon which includes more than 170 photos to clarify Cunningham’s system. No, I don’t get a cut if you buy this book, I’m recommending it because Tony consistently puts out quality work. Click on the cover to check it out. One more resource you will want to keep an eye on if you decide to study the Cunningham system is Chris Amendola’s blog entitled, appropriately enough, “AC Cunningham’s ‘The Cane as A Weapon.’” Chris is blogging his thoughts, notes, and discoveries as he proceeds to work his own way through the Cunningham cane system, as well as drawing out parallels from Cunningham’s other manual, Sabre and Bayonet. There are any number of reasons why I think this manual is so good. First is that Cunningham has an exquisite sense of what will work and what will not work from different postures and positions. He logically breaks down blows and parries, and places great emphasis on which of the three simple guards is best for any particular situation (eg., by not adopting a hostile en guarde position if not necessary). His experience with the bayonet gives his work the versatility of using short, strong strokes with a double handed grip for close encounters and multiple attackers as well as movement, movement, movement. He does not show any grappling with the cane, which I believe is very sensible. The footwork is clearly explained and has all the bases covered. He discusses the importance of targeting, and is cognizant that some strikes with a cane are less powerful than others. More than any other single reason I could name, I liked this book because I found myself nodding at pretty everything Cunningham wrote. Quite simply, my experience tells me that Cunningham got it right. I may be wrong, but I would be surprised if anyone with much cane or stick fighting experience read this and viewed it in an overall negative light. One note for the user, if Cunningham describes a “right cut,” he is referring to a strike that proceeds from the left to the right. So for example, a high right cut will go from your left towards your right and strike the assailant on the right side of his head. Andrew Chase Cunningham was born into upper class New York society in 1858; his middle name Chase was the family name on his mother’s side. He entered the U.S. Naval Academy in 1874 and graduated in 1879. Like many midshipmen, Cunningham married immediately upon graduation. He then went active duty until 1883 when he resigned to go to Rensselaer Polytechnic Institute. After graduating Rensselaer, he worked as a civil engineer for various companies and had a child at some point along the way. The trail stumbles after 1887 because that’s when Rensselaer’s alumni entry for Cunningham was published. It is known that he later went to work for the U.S. Navy for a number of years, either located in Annapolis, Washington D.C., or somewhere in between. He must have went back active duty rather than as a civilian, because four years was too brief a period to be promoted to Lieutenant Commander. By 1912 he was a Naval Inspector of Public Works and had worked as a civil engineer for the Navy for some years. 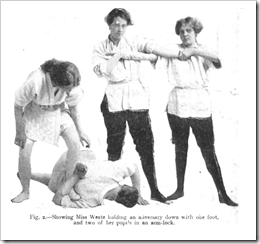 In the early 1900s he was active in fencing and in 1904 helped guide the Naval Academy fencing team along with longtime Academy Fencing Master Prof. A. J. (Antoine Joseph) Corbesier. Corbesier deserves study in his own right, a Belgian that ran the physical drills and the fencing and bayonet programs at the Naval Academy for more than forty years. Corbesier published a couple of his own sword manuals: Theory of Fencing, with the Small-Sword Exercise, and Principles of Squad Instruction for the Broadsword. Cunningham, who possessed a reputation as a fencer even as a midshipman, would have trained under Corbesier in fencing when he was a student thirty years prior. In 1906 Cunningham published his first manual, Sabre and Bayonet, but I know nothing about it. 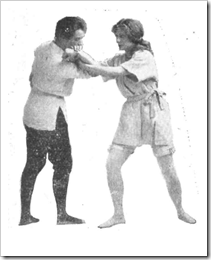 In the 1900s, Cunningham was a member of the prestigious Washington Fencing Club (WFC). The WFC was upper crust, on the New York Athletic Club level, and did not allow women as members. If you were not an illustrious, or at least well-connected military officers or diplomat, there was little need to apply. Cunningham eventually became a member of the governing board. In 1912, even though part of Navy, his expertise as a swordsman was so great that he was consulted by the army when evaluating a new cavalry saber design that Cunningham looked favorably upon. The submitter was a young Second Lieutenant who later became known as General George S. Patton.